When you click the default Merge pull request option on a pull request on your GitHub Enterprise Server instance, all commits from the feature branch are added to the base branch in a merge commit. The pull request is merged using the --no-ff option. When you select the Squash and merge option on a pull request on your GitHub Enterprise Server instance, the pull request&apos;s commits are squashed into a single commit. 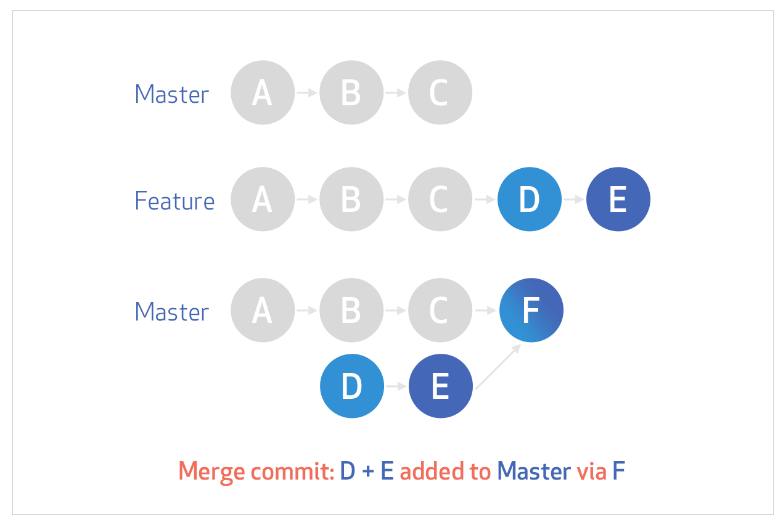 Instead of seeing all of a contributor&apos;s individual commits from a topic branch, the commits are combined into one commit and merged into the default branch. 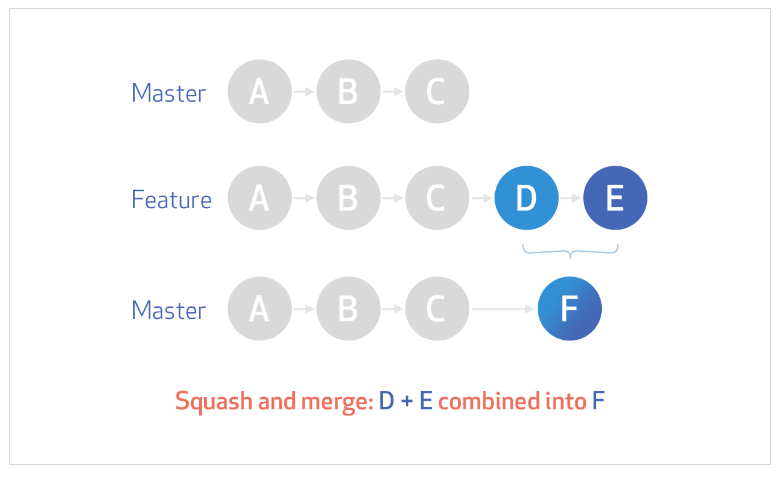 Pull requests with squashed commits are merged using the fast-forward option. When you select the Rebase and merge option on a pull request on your GitHub Enterprise Server instance, all commits from the topic branch (or head branch) are added onto the base branch individually without a merge commit. Pull requests with rebased commits are merged using the fast-forward option. Anyone with write permissions in the repository, can then merge the changes using the rebase and merge button on your GitHub Enterprise Server instance.